1.Alleviate brain fatigue caused by prolonged mental labor. 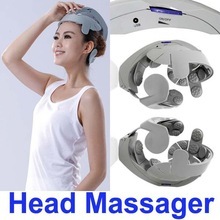 This product is used for massaging acupuncture point in the head, because every acupuncture point is closely linked with some organs or physical condition. Power means: mount three battery, computer USB connection, transformer connection. Then turn on the switch, regulate the massage strength (1-8 kinds of intensity which can adjustable). 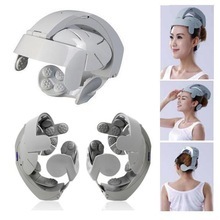 after finish using, you can trun it off at any time According to your own needs,and then take off the head massage device.